Home Unlabelled Unizik news: Unizik Holds her SUG week. Unizik news: Unizik Holds her SUG week. 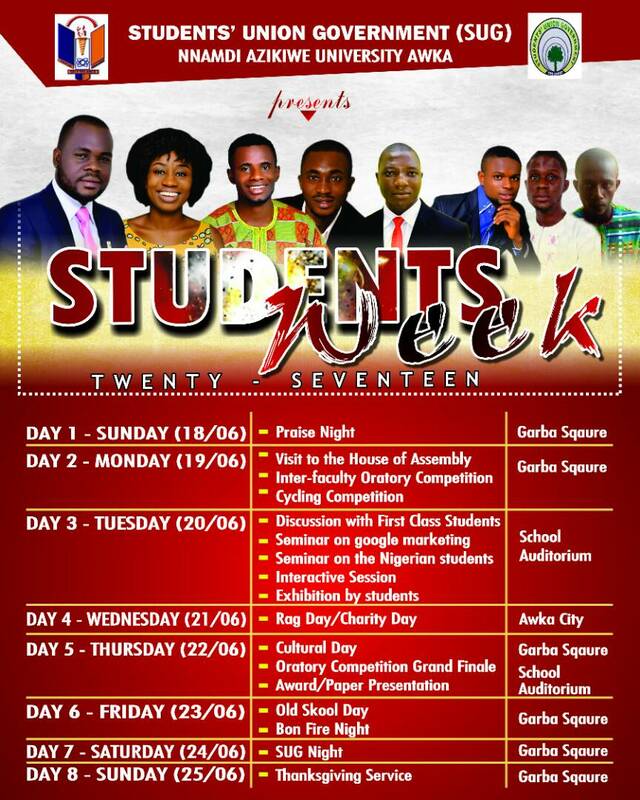 The Students union Government of nnamdi Azikiwe University presents "STUDENTS WEEK 2017"
Day2 -Monday(19/16) -visit to the house of Assembly. Day3 - Tuesday(20/16) -Discussion with First Class students. Day4 -Wednesday(21/16) -Rag day/charity Day.